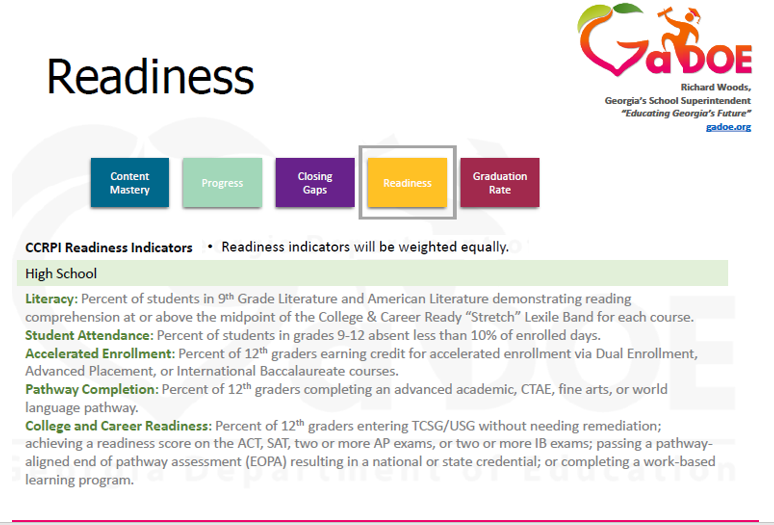 What is the College and Career Ready Performance Index (CCRPI)? 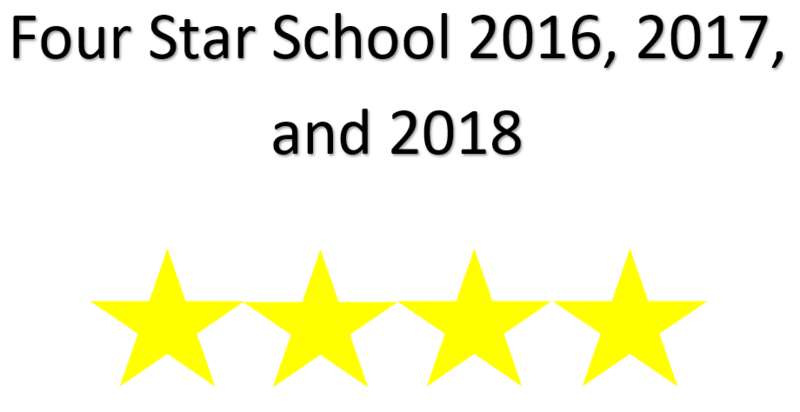 For more details, click here to view website. 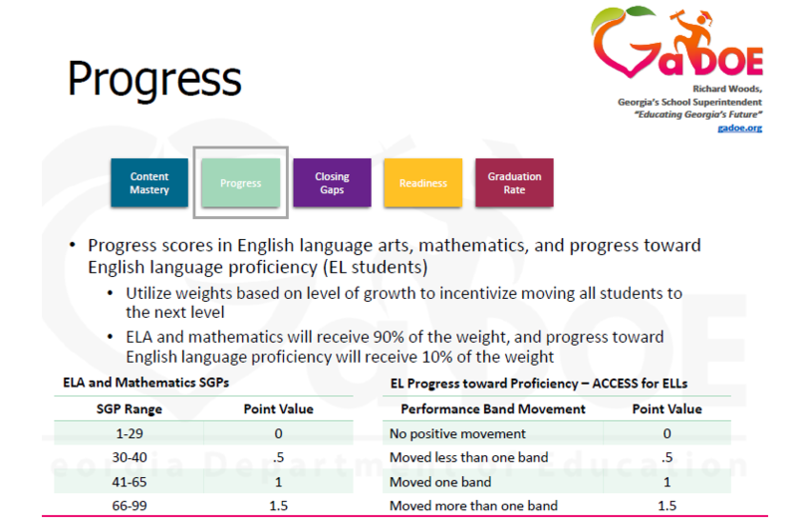 Georgia is one of 10 states initially granted a waiver in February 2012 from the federal No Child Left Behind Act. 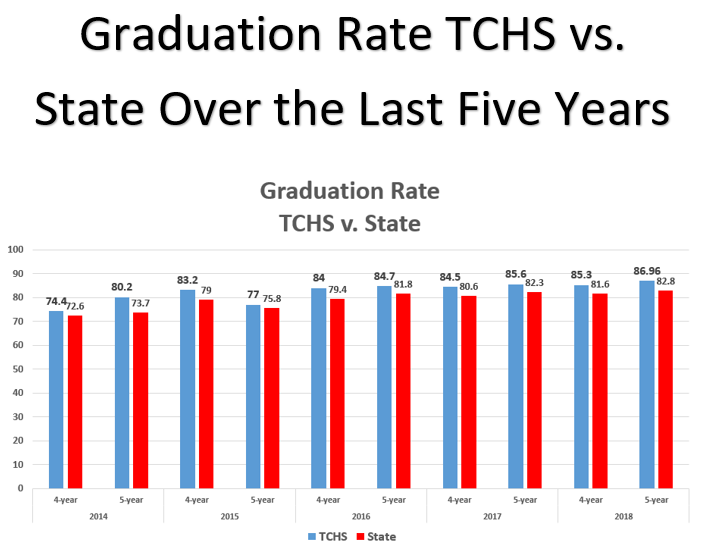 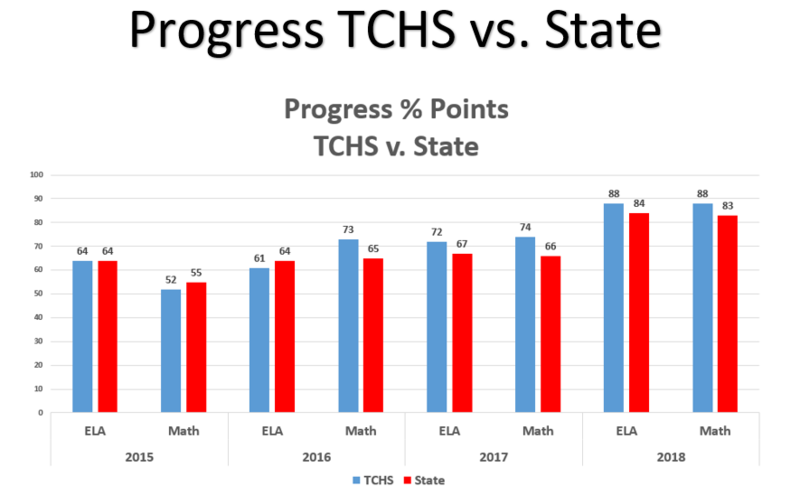 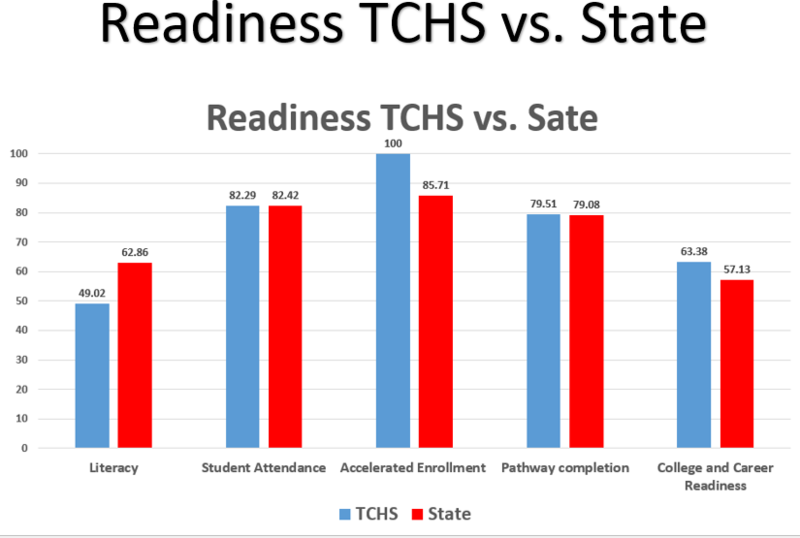 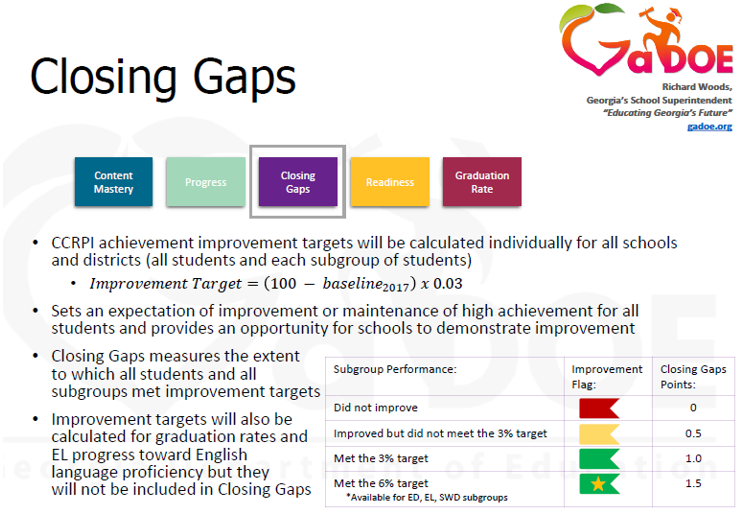 Once granted, Georgia began work on the College and Career Ready Performance Index (CCRPI), a new statewide accountability system based that began in 2012. 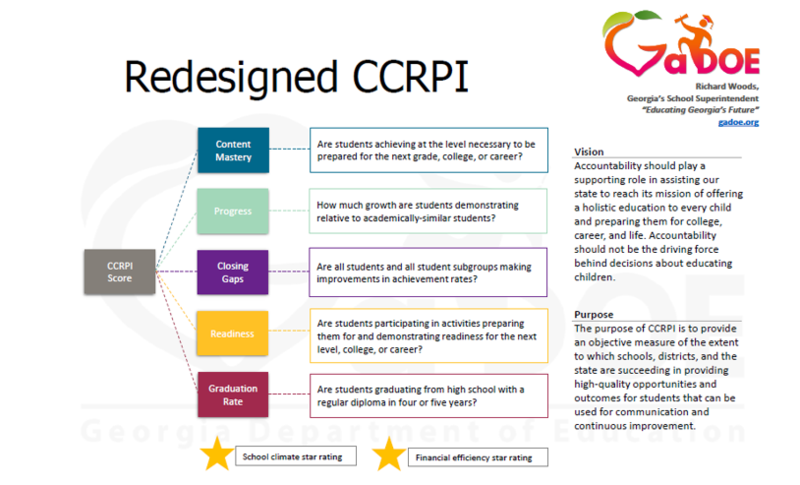 Since that first “study year," after receiving valuable feedback from our education partners and the public, DOE staff members have revised and refined the CCRPI several times to make a more meaningful report. 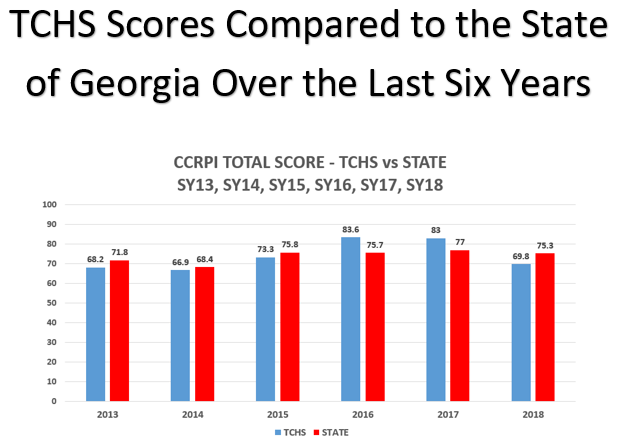 The last changes to be made to the CCRPI were made in 2018. 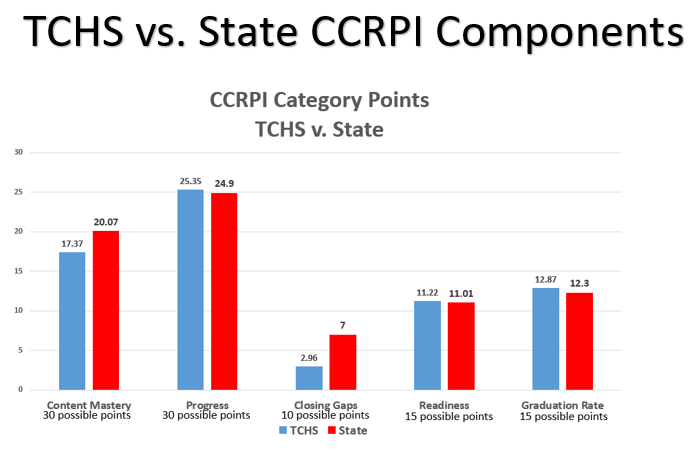 What are the differences between the old and new CCRPI? 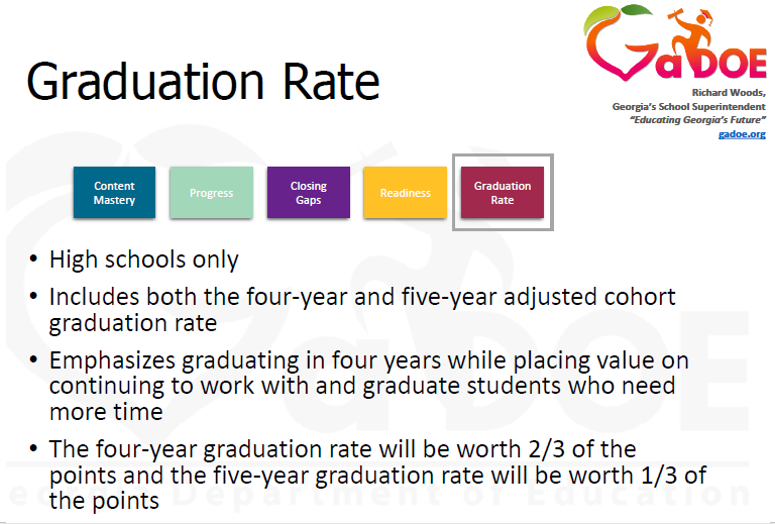 This summary provides an overview of major CCRPI changes. 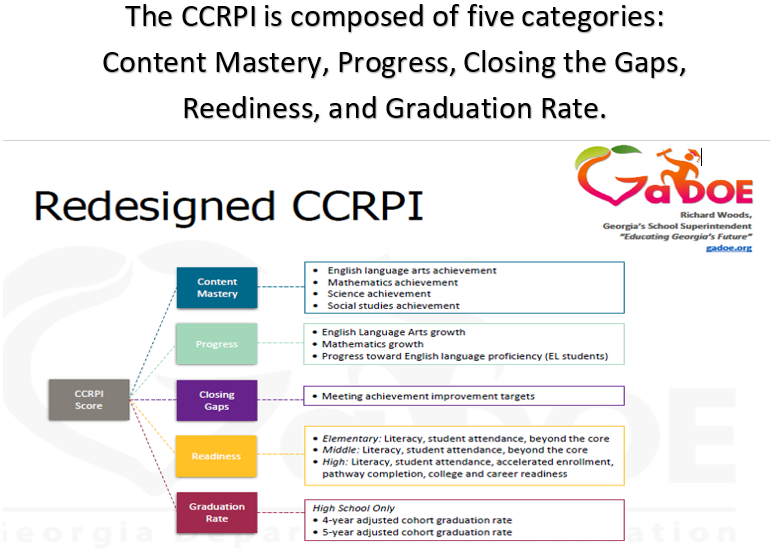 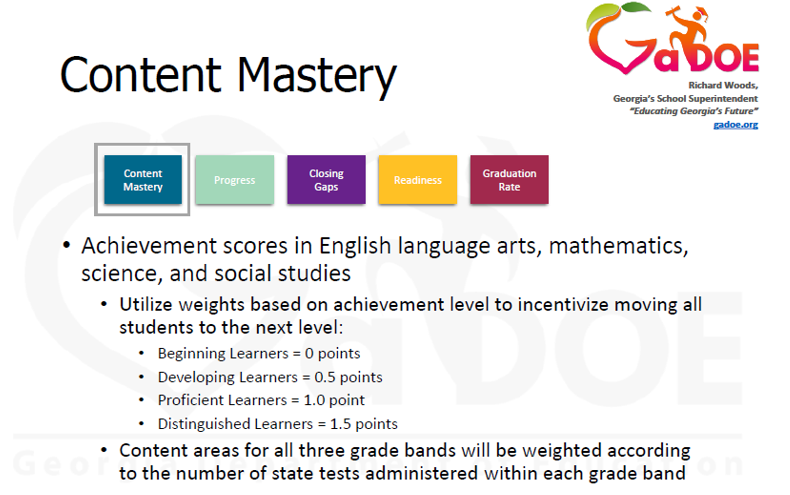 For a list of all changes, including the rationale for those changes, go to: http://www.gadoe.org/Curriculum-Instruction-and-Assessment/Accountability/Pages/default.aspx and click on the document titled CCRPI Detailed Summary of Changes.